Cultural Diversity is the quality of diverse or different cultures, as opposed to monoculture, as in the global monoculture, or a homogenization of cultures, akin to cultural decay. The phrase cultural diversity can also refer to having different cultures respect each other's differences. The phrase "cultural diversity" is also sometimes used to mean the variety of human societies or cultures in a specific region, or in the world as a whole. The culturally destructive action of globalization is often said to have a negative effect on the world's cultural diversity. Being Creative with your Art Projects can include Diverse Cultural Groups in diffferent Time-Lines in history. Let's explore Ancient Times Globally, bringing about interest in Cultural Exchanges and the huge melting pot that is reflected locally in our communities. "My Son Matters" will focus on: Art, Music, and Sports. Explore Cultural Diversity through the ARTS!!!! Have fun with all kinds of painting, drawing, textures, materials, and application techniques. 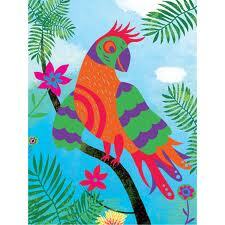 Painting or drawing "music" is a fun way to encourage children to creating abstract designs. 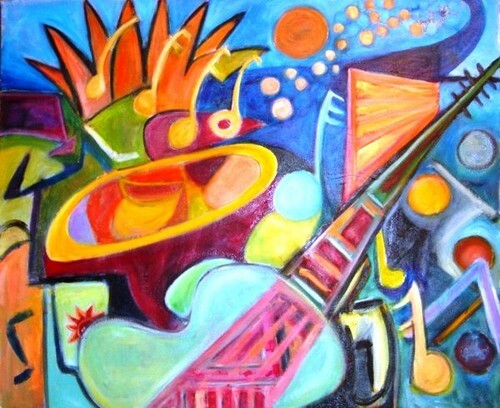 Many artists, including the great Russian painter Kandinsky, believe that music and art can express the same feelings and ideas. 1. Simply play a piece of powerful music for 10 minutes. 2. For the first few minutes, have students sit quietly with eyes closed, listening and imagining lines and shapes and colors. After listening they then "paint the colors and shapes that they hear." There's no wrong way to do this. Whatever a child creates is exactly right...his interpretation of the music. Paper (any color), Colorful chalk (either chalk pastels or blackboard chalk), White tempera paint (liquid), Dish for the paint. 1. Put a small amount of white tempera paint into a dish. 2. Dip the tip of your chalk into the paint. 3. Draw on your paper. The drawing marks you make will show not only the color of the chalk but also an edge of white paint. If you draw on dark colors, the white will show up very nicely. You could also use dark tempera paint with a light color paper. The possibilities are endless. 4. The beautiful part of this activity is that the paint "seals" the chalk so it won't smudge on the paper. Younger students will enjoy exploring this activity while older students should be encouraged to investigate detailed images and patterns. 1. Fill the paper with crayon shapes and patterns making sure to press hard. It is best to use light colors at this stage. 2. Once you have filled the paper with crayons patterns, color heavily over the whole paper using black crayon. 3. 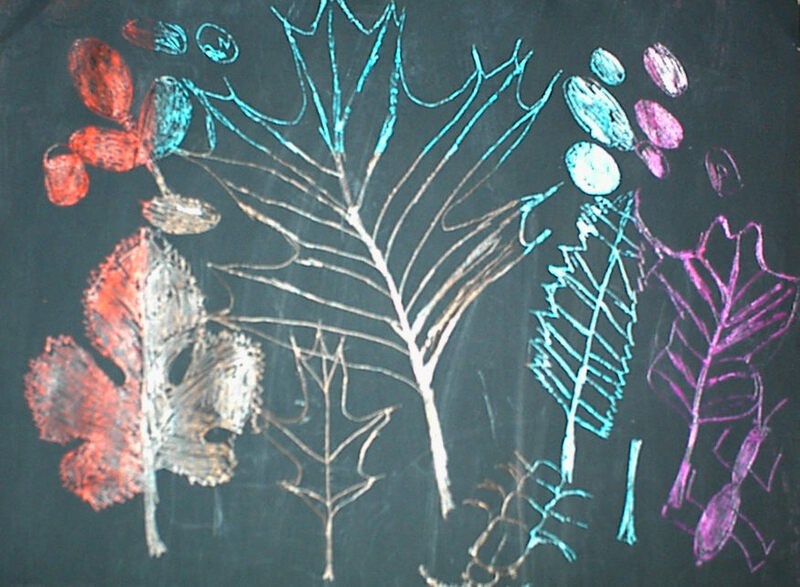 Plan out a picture or design and using the popsicle stick or paper clip, scratch the design into the black crayon. The light colors will show through where you scrape away the black. 4. Polish the picture by rubbing wax paper on it -- to give it a shine. You can also use a chamois cloth or even a plastic bag. TOAST ART AND SNACK IN ONE! 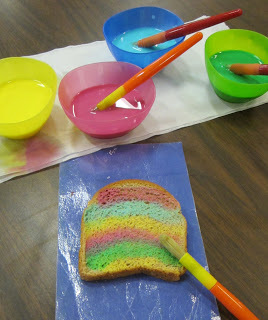 Mix “paint by combining food coloring with milk. Paint designs on one side—try and be creative with stripes, stars, designs. When changing colors be sure to remind kids to use different brush or swab. When complete-toast in toaster on light or under broiler. Can eat as is----or while still hot butter and sprinkle with cinnamon-sugar. Copyright © 2019 My Son Matters. All Rights Reserved. copyrights 2011 | Flint P. Jr. Arts Foundation, Inc.. d.b.a "My Son Matters"